other upholstered furniture, you may not always know the best fabric for you. 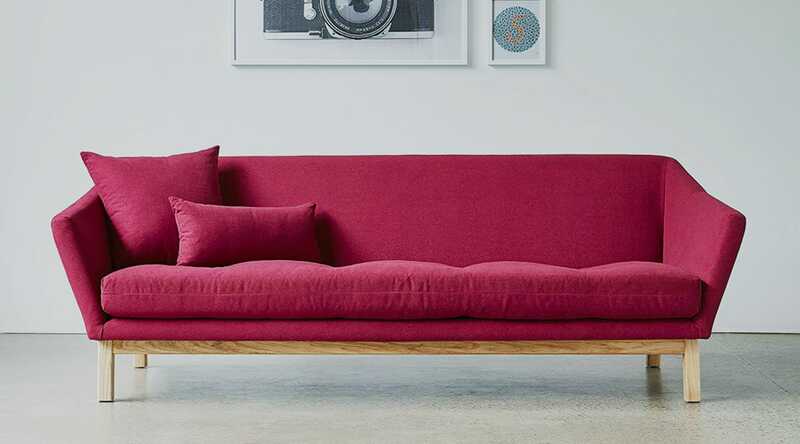 With this upholstery guide, we’re here to help you figure it out. Purchasing new furniture can be one of the most nerve-wracking decisions you make for your home. Not only is it usually a pricey investment, it is something that you will use for a very long time…or at least, you hope you will. And you hope you will actually enjoy it for just as long. Upholstered furniture bears the brunt of our day-to-day living. From sofas and lounge chairs to upholstered headboards and dining chairs, it can be hard to know right away what you want and, more importantly, what you need. All the information about all the different fabrics, foams and feathers can seem like little more than a confusing maze of names, percentages and materials. Here we break down the basics of what you need to know before committing to that new upholstered furniture piece. Not all textiles are made equal. Materials used for upholstery are generally more durable and harder wearing than others used in drapery, bedding or clothing. Fabrics designed specially for upholstery are tested using the “double rub” method. This is a test in which a machine rubs back and forth across a fabric until it is worn through, with each pass back and forth being a double rub. The number of double rubs equates to the longevity and level of use that the textile can take. For reference, textiles rated for commercial use are generally rated at least 100,000 double rubs and up, whereas residential fabrics are generally rated between 10,000 to 25,000 double rubs. While double rub is an important metric, it is only one factor to consider. Some upholstery textiles come treated with stain-resistant coatings, while some textiles and leathers are designed to develop a patina over time There are a lot of different types of textiles, each with their own pros and cons. Linen: A classic choice for formal spaces. Elegant and comfortable with a soft texture, linen does resist pilling but is prone to wrinkling. It must be professionally cleaned to avoid shrinking. Cotton: A go-to for a hard-wearing and natural feel. Good for long life and soil resistance, cotton is generally blended with other natural or synthetic fibers to increase its durability. Cotton can be woven in many different styles, so make sure that you’re paying attention to the usage needed. Wool: An elegant and durable option. Wool is often blended with other fibers to increase durability and prevent pilling. It is commonly seen on classic and reproduction mid-century furniture. Leather: A great option for long-term durability. Pay attention to how leather is finished, as that process will determine wear and longevity. Oiled or patent finishes are more stain-resistant than waxed or suede options. Unfinished leather is often intended to acquire an aged, worn look over time. For more durable options that will stay looking new longer, look at a synthetic option, like vinyl. Silk: Gorgeous, but delicate. Reserve silk upholstery for smaller pieces that don’t take a lot of wear. It’s sensitive to wrinkling, light and staining. For a more resilient textile, opt instead for a high-quality rayon, viscose or polyester. Synthetics: As the name suggests, synthetics are not made out of natural fibers. These man-made materials—vinyl, polyester, viscose, etc.—tend to be appealing for their ease of cleaning, flexibility and durability. In blends, they help add structure and strength to natural fibers. In the case of leather, a synthetic can replicate the look and feel of the real thing without harming living creatures. All of these materials are lovely on their own, of course, but can also be worked into a variety of patterns, weaves and blends. Velvet: Rich fabric made from shearing densely packed loops of thread. Can be made from cotton, wool, silk or a blend of the three. Silk is, of course, the most delicate with sturdier options like mohair or cotton. Velvet will develop a crushed patina over time. Chenille: Made from longer trimmed yarns creating a plush feel. Chenille is predominantly cotton or a cotton blend. It’s durable, but will patina and wear with long-term use. Tweed: Classic menswear option popularized during the mid-century period. It’s generally wool or a wool blend, with a crosshatched pattern made with various colors to create visual depth. Boucle: Another mid-century sweetheart taken from menswear. It’s often wool or a cotton blend. Typified by the piled “looped” appearance of the weave. The visual depth of boucle is created through the use of multiple colors. Duck: A plain, durable and often thick weave, generally made from cotton. Duck has a casual appearance and hard-wearing durability, which makes it a good option for spaces where children or pets will be. Online shopping can make choosing upholstery even more difficult. Monitor settings vary, so be sure to ask for swatches of the fabrics you’re looking at. If it is something you are going to invest in and live with for a long time, you want to know you’ll love it when it shows up. Whatever fabric might appeal to you, make sure to think about the life span of that textile. What may look stunning now might not look so hot a few years down the line after some abuse. Think and plan, and you’ll be able to relax comfortably for a very long time.